When it comes to making sure uniforms for restaurants and the food service industry are taken care of, it can be quite a hassle these days. Especially if you want to purchase them as opposed to rent them. Uniform Nations ensures that you have access to all different kinds of food service uniforms so that you can stop searching and get back to the more important parts of your business. 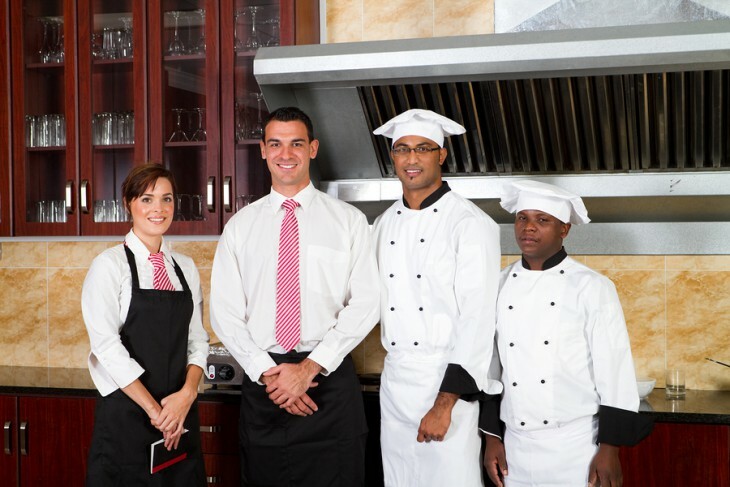 There are multiple reasons to have your employees wear uniforms in the food service business. Whether it be for protection from hot grease, or just to have your business stand out, you want to make sure that you get the best uniforms possible. When you purchase your uniforms as opposed to renting them, this takes the responsibility of laundry away from you. This is also nice for your staff because they will be able to take their uniforms home instead of having to change at work every day. GET FREE QUOTES ON PURCHASING Food Service UNIFORMS Today! Buy uniforms for your employees to keep them looking their best every day. Find out if purchasing your food service uniforms is the right solution for you. Within minutes of receiving your request, you’ll be provided with a list of free food service uniform quotes from experts near you.